Harris Electrical Service is a full service electrical contracting company serving residential and commercial customers in the Jackson, Lake Gaston, Roanoke Rapids, Scotland Neck, Tillery, Seabord, Garysburg, Warrenton, Hollister, and Littleton, NC area. 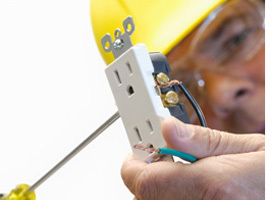 Harris Electrical Service has served its customers with a commitment to service and value. We have the experience and expertise to get the job done right the first time. Our skilled professionals use only the finest tools and materials. Once we've made the necessary repairs, it's almost as though the damage never occurred. We provide personalized service and affordable rates. Call us at (252) 586-2610 to schedule a service call or no-cost, no-obligation consultation, or click here to see our contact info.